Lunch Bag It In Style! 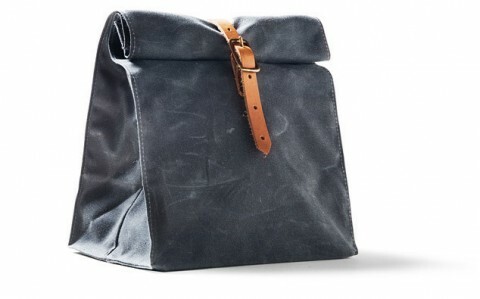 Looove this handmade waxed canvas lunch bag. Stands upright and is fixed with an oil-tanned leather strap and brass buckle. All materials are locally sourced and it is being constructed in Asheville, NC.